Blog entry to follow shortly. This one-day workshop will bring together scholars from different disciplines (including art history, history, journalism, literature) who are currently collaborating on a special journal issue of L’Esprit créateur (guest-edited by Érika Wicky and Kathrin Yacavone) on the topic of intermediality and portraiture in 19th-century France. Short paper presentations will be followed by respondents’ statements and open discussion. The overall aim of the workshop is to illuminate through various disciplinary perspectives how the concept of the portrait is shaped by different media forms and styles, which continuously redefine notions of identity, celebrity, expressivity and resemblance in 19th-century French visual culture. To regsiter, follow this link. For a report of the conference, follow this link. In the winter months of 2017, I finally managed to access the Roland Barthes archive, a goal I had since my PhD thesis, when the estate was held in the archive of the IMEC in Normandy, but which circumstances prevented. Since 2010 the Fonds Roland Barthes is officially housed at the Bibliothèque nationale de France, Paris. 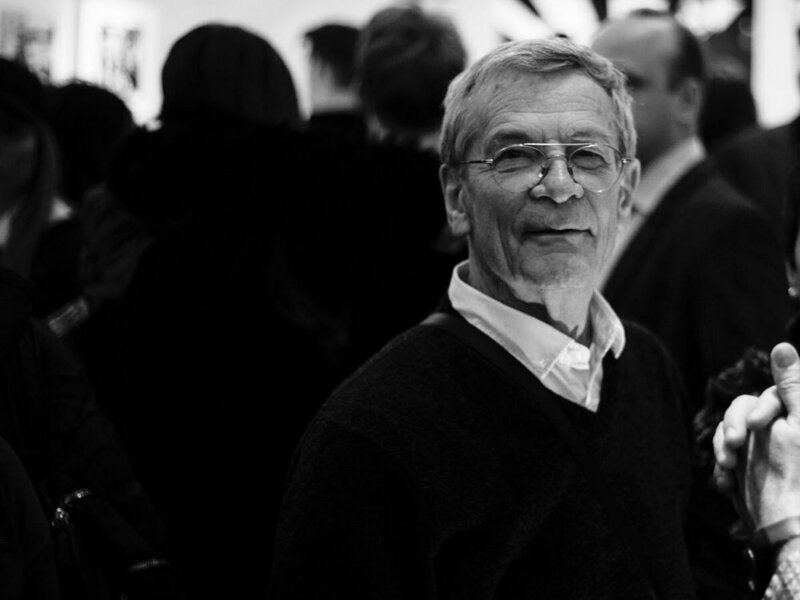 As Barthes’s half-brother and right holder to the estate, it was Michel Salzedo’s wish that the archive was moved there. Shortly after this move, I requested information from the library regarding the photographs that I suspected to be part of the collection. Yet I was told that there were none – only drawings (some 385) – a practice that Barthes took up in 1970. However, based on available evidence, I wrote in my book on Benjamin, Barthes and the Singularity of Photography that the famous ‘Winter Garden’ photograph of Barthes’s mother as a child – notoriously absent from his Camera Lucida (La Chambre claire) where it is only described (prompting many to doubt its existence) – must be held in a box in this archive. I’m happy to say that my visit last year confirmed this hypothesis. After looking at a number of draft manuscripts and note cards related to Barthes’s late books, seminar notes and unfinished projects, the rather chilly Salle de lecture of the Manuscript collection in the old building of the National Library on rue Richelieu suddenly felt much warmer when I was told that there were in fact five boxes with photographs…! The content of these five boxes (or ‘classeurs’) amount to well over five hundred individual images, although this number includes double prints or different formats of the same image, for example. I was only able to peruse four boxes, however, since one is not publicly accessible. It is, of course the one that contains the portrait of the mother in the winter-garden setting, as the librarian indicated to me. Thus, while the photograph undoubtedly exists – a fact established through its accidental appearance in the background of late portraits of Barthes in his study – it remains curiously invisible. Be this as it may, the content of the remaining four boxes consists largely in portraits of Barthes dating from the 1970s – despite the French theorist’s well-known aversion to being photographed. He describes sitting in front of the lens as a dynamic that combines uncertain self-perceptions and social expectations and in which the sitter’s influence on the outcome is very limited, filling him with anxiety and a feeling of objectification. “For what society makes of my photograph,” Barthes acknowledges, “what it reads there, I do not know (in any case, there are so many readings of the same face); but when I discover myself in the product of this operation, what I see is that I have become Total-Image, which is to say, Death in person; others – the Other – dispossess me of myself, they turn me, ferociously, into an object, they put me at their mercy, at their disposal, classified in a file, ready for the subtlest deceptions” (Camera Lucida, p. 14, translation modified). In spite of these strong sensations of dispossession and even mortification – or perhaps precisely because of this effect – Barthes writes these lines at the very moment in his career when he was most frequently solicited to sit for photographs, and often accepted. In fact, this passage from his most influential text on photography may well correspond to an actual session with a photographer. In the archive folder containing the manuscript of the book, there is a small sheet of paper with six lines of scribbles on top. At the bottom of the page Barthes added the following explanation: “The photographer said to me: ‘I shall take your photo at the desk. Scribble!’” It is dated May 9, 1979 and although I have been unable to identify a photograph that corresponds to this precise date, this example is likely representative of numerous similar session that took place in Barthes’s apartment (and elsewhere) throughout the 1970s. These sittings resulted in the well over five hundred author portraits, taken by photographers such as Ulf Anderson (who took the photograph above), Sophie Bassouls, Jerry Bauer, Daniel Boudinet, and Louis Monier. In addition to more thematic series showing Barthes at his desk or surrounded by his drawing (rather than writing) materials, his portraits are frequently part of a series, that is, multiple images from the same photographic session. Several contact sheets and accompanying letters to Barthes by photographers also indicate that the French writer was actively engaged in choosing images for reproduction and dissemination. For example, there is a contact sheet of thirty-four positive portraits of Barthes taken by David Graeme-Baker in February 1975, with a handwritten letter by the photographer asking Barthes to select the images he would like to have printed. Other series originated during interview sessions, as already hinted, with photojournalists either present during the interview – as was the case for André Perlstein – or taking their pictures once the conversation ended. The majority of the author portraits held in the Barthes archive are well known images and have been reproduced in a myriad of publications, including Barthes’s own work, biographies, academic and journalistic writing, and, of course, on the internet. However, there are also a large number of photographs that have never been seen. A number show the theorist from unflattering angles or close-ups, with a double chin, protruding stomach, and so on. But, aesthetic appearance aside, they are telling with respect to Barthes’s own self-perception and the ‘image’ he wished to project (or avoid projecting) in public. As I cannot reproduce them here for copyright reasons, I can only invite readers to try to gain access to the archive and see them for themselves! The annual convention of the Modern Language Association (MLA) - the main association for modern languages in the USA - will take place in New York in January 2018. Together with Prof Suzanne Guerlac (UC Berkely), I am organizing a special session on 'Proust and photography', which will include 3 papers. The topic is not new: since the publication of Brassai’s Proust in the Power of Photography (first published in French in 1997), photography has been a key concern for Proust scholars, most often, though not exclusively, from the perspective of how the medium figures in Proust's novel In Search of Lost Time (À la recherche du temps perdu) in both literal and figurative ways. In keeping with the recent turn towards visual culture in French studies, and on the heels of the 2017 rediscovery of a 1904 film-clip showing a few seconds of Proust descending a flight of steps (the only known film footage of the author), this special session assesses hitherto under-analyzed aspects of the photographic image in Proust’s life and work through the prism of his cultural-historical period. Its specific focus is the fragmented, intermittent, and interstitial character and effect of photography, both in relation to the reception of Proust the author and the interpretation of his novel. 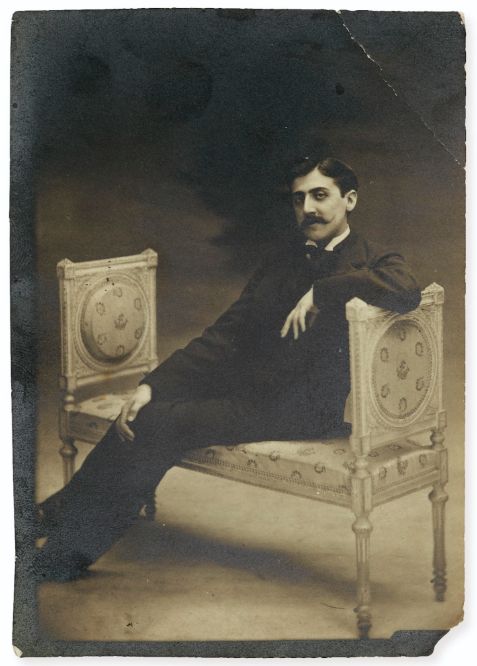 The individual papers, which will showcase visual material, address this broad session topic by way of 1) key episodes related to the crucial photograph of the grandmother in Proust’s novel; 2) Proust’s kaleidoscopic vision; and 3) the photographic representation of Proust himself. All three papers question a straightforwardly referential relation between the photograph and what it shows, and address the complex, historically overdetermined interrelations between image and text. The session will speak to students and scholars with expertise in Proust, while also reaching beyond the discipline of French studies to engage a wider audience with interest and expertise in modernism, theory and thought, visual culture, photography, and film. Each paper will last no longer than 20 minutes, leaving enough time for an anticipated lively and exiting discussion among audience and panelists. The session will take place on Friday 5 January at 8.30am. Among my first archival visits was to the Maison de Victor Hugo on the Place des Vosges in Paris. This writer’s house is a museum, exhibition space, library and archive in one and stepping inside is like stepping back in time: Hugo’s apartment has been reconstructed with the original furniture and it is possible to see where the great author lived and worked between the years 1832 and 1848 (although the actual interiors date from later periods as well). The second level of number 6 Place des Vosges takes the visitor through the antechamber into the Salon Rouge, where Hugo would receive fellow writers and other distinguished guests. But there are also more private rooms, including a dining room, bedroom, and, of course, his study and workplace. Even if you are not interested in exploring the library and archive under the same roof (or higher, since they are located in the attic), the Maison de Victor Hugo is well worth a visit! For those who do venture further up the squeaky wooden staircase into the attic, the library and archive contain well-known treasures and little-known surprises. I specifically came here to view one of the few remaining copies of Victor Hugo’s illustrated poetry collection Les Contemplations, published in 1856. The poems were written on the Channel Island of Jersey, during Hugo’s exile from France during 1852 and 1870 (imposed on him by the Coup d’Etat of Louis-Napoléon Bonaparte in 1851). During the early years of his exile (1853-55) Hugo often sat for photography sessions: his two sons, Charles and François-Victor, together with Auguste Vacquerie took over 400 photographs, developing them in a dark room fitted next to the greenhouse of Marine Terrace, the temporary home of the Hugos and their entourage. At a time when both picture-taking and the development process of the images necessitated both time and skill, this number of photographs is quite remarkable. Not only the amount, but the quality, setting, and iconography of these images is astonishing. In contrast to the majority of author portraits taken in the 1850s – and even up until the end of the 19th century – the photographs of Hugo taken on Jersey are all shot outdoors. They present the novelist, poet, and all-around man of letters in the immediate surroundings of Marine Terrace, including its glasshouse, as well as against the dramatic background of the island’s rocky shoreline. The significance of the images from the atelier de Jersey in terms of their setting, style, and pose is especially clear when compared to later images of Hugo, by even the most accomplished portrait photographers such as Étienne Carjat, Edmond Bacot, and Nadar – all great names in nineteenth-century French portraiture. Indeed, the far more conventional, stuffy, and staid academism of most author portraits of the era taken at professional studios suggests that the absence of a professional portraitist and the limiting confines of a studio contributed to the unparalleled dynamic character of the ‘amateur’ photographs taken on Jersey. But the arresting power of the images is undoubtedly also due to the sitter himself: despite never taking pictures, Hugo – also a talented visual artist who produced a large number of highly accomplished drawings during his exile – exercised a creative influence on the choice of setting, composition, and pose, that, at the time, only the medium of photography could accommodate. 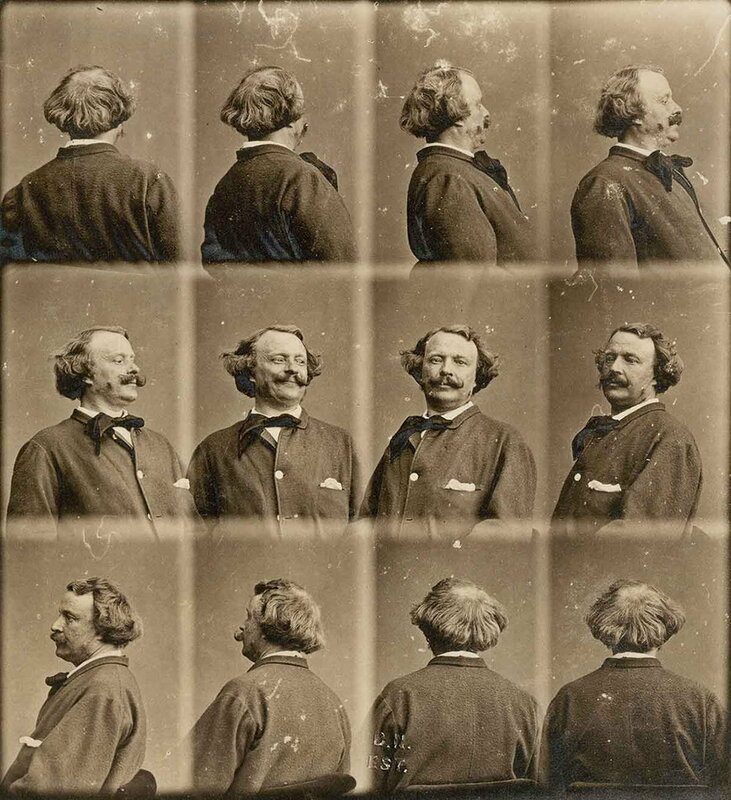 The total of about seventy portraits of Hugo taken during 1853-5 represent a large corpus for the period, even if their compositional and iconographic differences are variations of the single theme, namely Hugo’s cultural status as a writer of genius in spite of his exile. Apart from a few isolated images of Hugo leaning on a table, or sitting with a book in his hand, the portraits fall into two main categories, related to their composition: bust portraits that isolate the sitter against a neutral background, and full-body portraits that depict him against the massive rock formations of the island. In the photographs focused exclusively on the sitter, Hugo is far from a passive object – let alone death personified, as Roland Barthes describes his own experience of having his picture taken in Camera Lucida (La Chambre claire) – but instead often looks at the camera with a vibrant, piercing intensity. The slight upward-facing angle from which many portraits are taken emphasizes the monument-like presence of the elevated author (often literally, perched on top of the rocks) and his air of authoritative self-assurance is present even when his gaze is directed elsewhere (or even inward, as in one photograph of Hugo with his eyes closed). But, back to the archive on the Place des Vosges. I was particularly interested in the ways in which Hugo’s own portraits entered into close dialogue with the poems in the collection. The well-preserved images – hidden away from damaging light between the usually closed book covers – are all sepia-tone paper prints, allowing for clarity of detail, while maintaining a softness typical of paper photographs. The ones showing Hugo are inserted at key moments in the autobiographical work, including one facing the preface, in which the author directly addresses his relation to posterity. Another image, depicting Hugo as a small figure on top of the rock formation along Jersey’s seashore (the famous Victor Hugo sur le rocher des Proscrits), is inserted after a poem which hails previous exiles as great historical figures. Hugo thus visually inserts himself into this genealogy, by placing his portrait at the end of the text. Even if the two-volume poetry collection was not officially distributed in this illustrated format by the publisher at the time, the remaining copies do speak to a remarkable foresight on Hugo’s part with respect to the visual construction and promotion of the author. Although Hugo’s expressed wish for a large-scale commercial dissemination of his portrait was hindered by the expense and the slow evolution of the photographic medium, as well as the illustrated press more generally, the illustrated copies of Les Contemplations testify to Hugo’s status as co-creator of his own image and demonstrate the evocative power of photographically illustrated literary works despite the technological limitations of the time.